Far from being a recluse concerned only with an inner mystical experience, the Buddha always involved himself closely in the social and political world of his time. If he preached detachment from many of the things by which ordinary men are tied, he did so as a means of enriching life rather than escaping from it. Trevor Ling describes the India into which the Buddha was born, recounts what is known of his life and the development of his teaching, and then follows the course of Buddhism through succeeding centuries in India and Sri Lanka. His admiration for the Buddha and his teaching and for the civilization which embodied it makes this a warm and stimulating book. For those who wish to pursue the teaching of the Buddha beyond the stage of wishes and promises, into a stage of mature implementation, Trevor Ling, with his learning, his unabashedly positive bias, and his seasoned historical lessons and lenses, spoke with a clarifying voice. His vivid history lets us feel we are walking around inside ancient India and Sri Lanka. 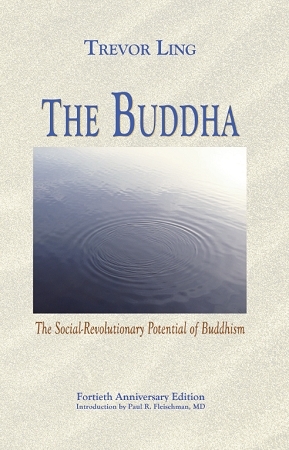 Forty years after he wrote The Buddha, this book emits tempered hope. Decades of study and practice have filled my shelves with scores of Dhamma books. Some glow with a special signifi cance, having singlehandedly opened me to a whole new dimension of appreciation for Gotama s life and thought. Trevor Ling s The Buddha is emphatically one of these. TREVOR OSWALD LING (1920-1995) was a cleric, theologian, and scholar who pioneered the study of Comparative Religion in British universities, a focus that emerged during the years he lived in India and Southeast Asia. His published works include Buddhism and the Mythology of Evil; A History of Religion East and West; and A Dictionary of Buddhism. This eBook is Mobi (Kindle), ePub (iPad, Android, other eReaders) and PDF (not printable) format. You will receive download links for each format after checkout.